Ollie is a 12 year old (soon to be 13) with a goal of representing Australia. He knows what it takes to get there and is not afraid of hard work. Ollie lives on The Northern Beaches with his parents (both Olympians) sister Poppy (QLD AFL player) and brother Milo (avid fisherman). You will often see Ollie and friends running through the streets or the trails in the area. Ollie is an unassuming polite young man with a huge heart and will to be the best he can be. He loves to train with his running group Pace Project and looks up to the senior kids wanting to be just like them, little does he know how proud they are of him. 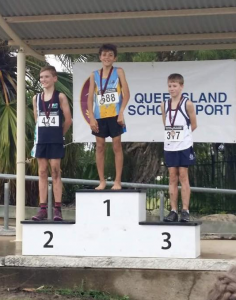 Ollie is the 2016 12B QLD School State XC Champion and would LOVE to retain that title this year as a 13 year old. 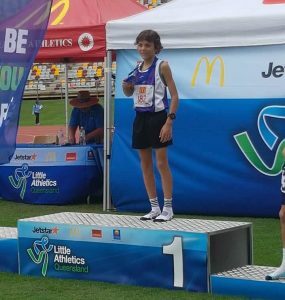 Ollie recently competed in the Little Athletic State Championships Brisbane winning the 1500m and placing 2nd in the 800m. 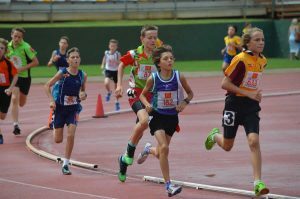 This earned him a spot on the Queensland Team to compete in Sydney end April. 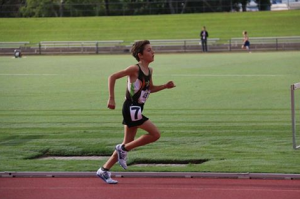 My name is Ollie Boltz I am 12 years old and I love to be outdoors keeping fit. I really enjoy kicking a soccer ball and riding my bike but above all I love to run. Running makes me push myself and feel great more than anything, I have big dreams and realise that I must work hard in order to achieve them. I am very committed to my training and alongside my school work (ok well sometimes) it is what I am most dedicated to. Depending on the time of the year I run up to 5 times a week, plug a session of core and stability work. Each year my training load increases, I have to be sensible not to do too much too soon as I want to stay fit and healthy in order to achieve my dream. I really enjoy my training group as we are all very similar in that we want to be the best we can. Some days of course we are tired and that is when the group is the most helpful as we push and encourage each other to get the most out of ourselves which helps me keep my eye on my dreams. My dream like Bears is to go to the Olympics. I know I have a long way to go but you have to start somewhere. Last year I made my first Queensland Team and I hope to do so again this year, I know my dream is a big one but I believe I can do it.